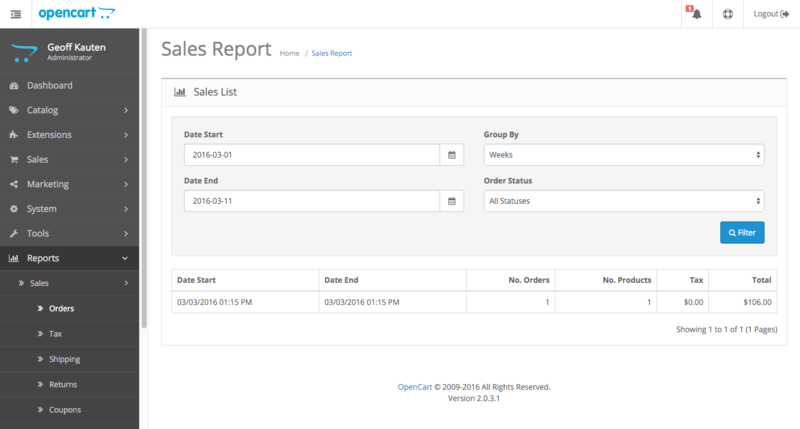 Easily Change the Way Dates and Times are Displayed Across Your Storefront! 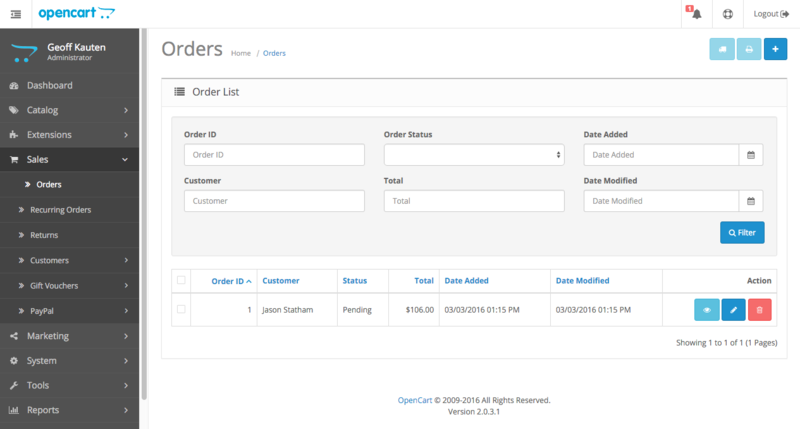 The Custom Date Display Module for OpenCart (vQmod) is designed to offer an easy way for store owners to change the way dates and times are displayed across their OpenCart storefront. 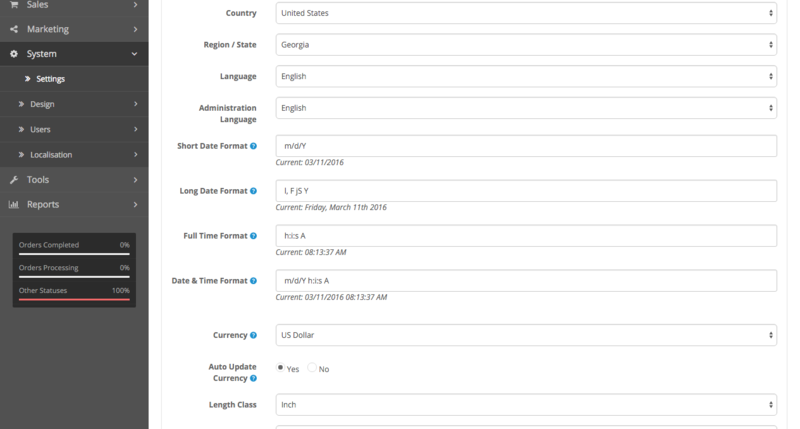 Rather than having to manually edit the master language file for both the admin and the front-end, this module dynamically creates an easy way to modify the date and time formats used to display data in both sections, all from within the standard Settings panel within the OpenCart Administration area. This module provides the absolute easiest method possible, to change such a simple yet vital aspect of your storefront. Using standard & native PHP Date/Time notation, store owners can easily change the date to be displayed in any format they desire. Once the Admin settings have been saved, returning to the Settings panel will reveal the current date & time in the chosen formats so that the store owners can see how the dates will be formatted across the system without having to manually check each location. One of the most common uses for this module that we have seen, is to modify the default short date format from an order within OpenCart (i.e. “03/15/2015”), and convert the short date to display more information such as the time the order was placed, down to the very second! Other users have chosen to modify the default long date format (i.e. “03/15/2015 12:32:00”) from within OpenCart and simplify it to just a short date format. This module does not alter the data stored in your storefront’s database in any way. It simply changes the format used to display that date & time data back to you. There is no harm to your data, and uninstalling this module will simply revert your date & time formats back to those which are the default settings used by your language package. 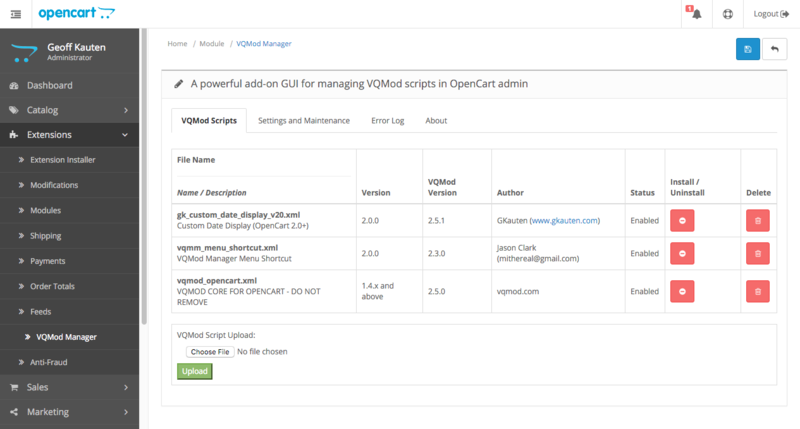 Utilizing vQmod for OpenCart, this module contains only a single file to be uploaded, and does not actually modify a single core file of the OpenCart system. Instead, using the vQmod system, it dynamically injects the necessary code into a cached version of the core files allowing for complete native functionality, while still maintaining the ability to update the OpenCart system without worry of overwriting any changes made by this plugin. 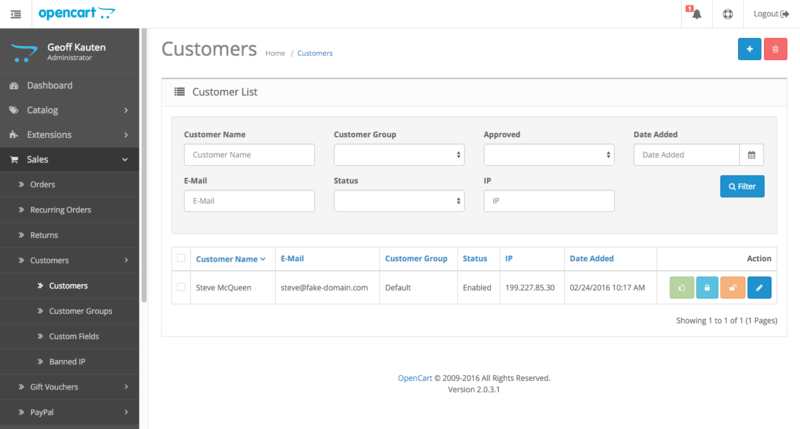 With this module installed and configured, your storefront will have 3-4 new fields added to the Settings section of the OpenCart Administration area, depending on the version of OpenCart used. After editing these fields, and entering the desired date format string, saving the settings and returning to the Settings section will reveal an example output of the chosen format for each date & time string. Once you are happy with the results, you are all set! There is no further modification required for these new date & time formats to automatically apply across the entire system. Compatible with OpenCart 1.5+ & OpenCart 2.0+! This module includes two versions! The first provides support for all sites running OpenCart 1.5+. 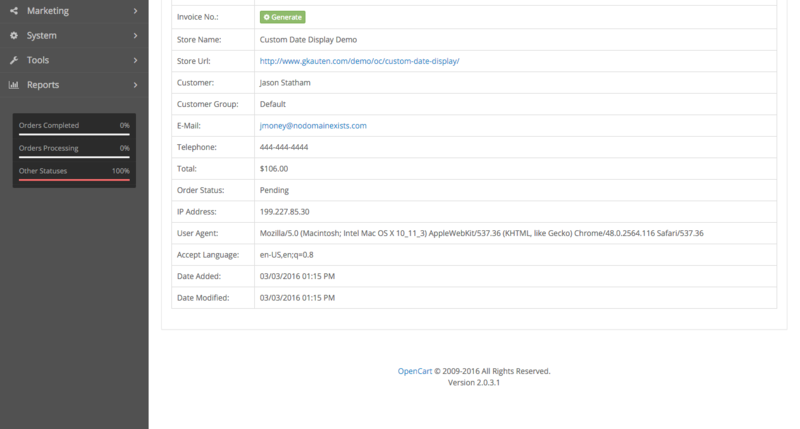 The second version provides support for all sites running OpenCart 2.0+. Simply install the version specific to your current version of OpenCart and within minutes the module is up and running. vQmod is absolutely required to use this module! Please make sure you have vQmod installed on your installation of OpenCart prior to attempting to use this module. vQmod is a free download. We also highly recommend vQmod Manager! This is also a free module for OpenCart which makes it remarkably easier to manage modules and clear the vQmod cache on demand, something that needs to be done when modules are updated, added, or removed from the site. Included with this module are two vQmod XML Module files which are to be uploaded to the XML folder of the vQmod installation. One file is used for any storefronts running OpenCart 1.5+ versions, while the other file is used for storefronts running OpenCart 2.0+ versions. Only one file needs to be installed for the respective version of OpenCart that is being used.